Managing insulin-requiring diabetes is a 24/7 undertaking. It's a delicate balance to manage food, handle insulin dosing, and monitor glucose. Add to that the managing of prescriptions, visits with health care providers, and back-and-forth with health insurance, on top of school, work, family, and the responsibilities of everyday life. It can be exhausting to think about, much less live every day. Thankfully, our community of people living with and treating this condition includes primary care providers and specialists whom we can count on to work together with us to help figure out how to juggle these tasks to improve our health and our lives. This collaboration and shared decision-making between the individuals and their care teams (including family members) to manage chronic conditions—a collaboration that considers the wants, needs, values, and unique everyday life in treatment plans and therapies—is called patient-centered care. And it's part of what we, at Bigfoot, like to call a holistic approach to chronic condition management. A patient-centered communication style that involves active listening and addresses patients’ preferences, beliefs, and any barriers to care. Diabetes care should be managed by a multidisciplinary team. That team may include primary care physicians, subspecialty physicians, nurse practitioners, physician assistants, nurses, dietitians, exercise specialists, pharmacists, dentists, podiatrists, and mental health professionals. Patient-centered care keeps the individual at center stage. It also welcomes active participation and shared decision making with the person living with diabetes. When clinicians recommend a therapy to their patients, whether it’s a medical device, a drug, or a referral to a specialist, they often consider whether it’s a regimen that would be a realistic fit for the patient. If the patient seems overwhelmed with daily maintenance, perhaps a drug delivered less frequently is a better fit than several daily doses. Different people have different skills and not everyone is able or willing to engage in a complicated regimen. When I worked in primary care years ago, when NPH was commonly used, I had more than one pediatric patient whose family was impacted by food insecurity. How could I expect to prescribe an insulin regimen that required prescribed eating times to a child for whom getting enough food to cover the insulin would be a challenge? Clinicians must also consider cost when prescribing therapies. According to the Centers for Disease Control and Prevention, about 43% of Americans with employer-based health insurance have high-deductible health plans. Under the average high-deductible health plan, can a person living with insulin-requiring diabetes afford to pay high out-of-pocket costs? How much will they have to pay for adequate glucose monitoring supplies? As drug costs rise, the financial implications of diabetes can't be ignored. It's understandable that people with insulin-requiring diabetes experience stress while managing such a complicated chronic condition. If a person's lifestyle, access to care, economics, social support, advanced age, or other health conditions make it a challenge to adopt a therapy regimen, what can we as health care providers do to make that therapy simpler and more successful for them? The "keep it simple" philosophy of therapy absolutely must extend to medical devices. Glucose monitors and insulin delivery devices are integral components to managing insulin-requiring diabetes, but people with diabetes have to be taught how to program and operate the devices and how to synthesize and analyze the data they produce in order to use these effectively, which is a big ask for the average person. Devices must evolve to provide ongoing education and support for both clinician and end user. Most clinicians don't have enough time in a standard office visit to provide extensive training to teach someone how to use a device, so as medical device manufacturers, we must consider whether our devices could be simpler to set up and use with minimal oversight from clinicians who prescribe them. 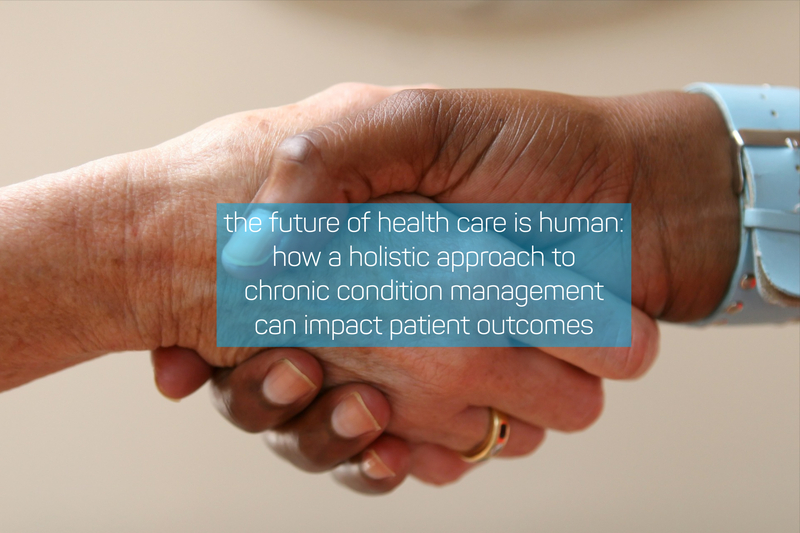 Just as health care providers consider the physical, emotional, and mental health of their patients living with chronic conditions, medical device manufacturers should consider how people live in unison with their devices in the real world. We can do more as manufacturers to help our customers use things that work out of the box, designing elements to communicate better, asking for less troubleshooting from our end users. People don’t want the precious few minutes they may get with their health care team to be spent fiddling with knobs and configurations. I challenge us all to think more holistically, with more humanity. The future of health care is human.